When it comes to the art of the long and healthy life, many of us would agree that our hearts are the most important organ. And while many of us have never needed to visit a cardiologist (and hopefully the majority never will), if that day does come, we’re probably within a few kilometres of a specialist who can quickly listen, diagnose and prescribe a solution. But, what about the almost 20-million people living outside of major urban centres? For whom distance (and a lack of transport to conquer it) is as big a deal as the lack of specialists available to listen, diagnose and prescribe? In fact, our country as a whole is remarkably light on specialist skills; while the Boston Children’s Hospital in the States has more than 75 paediatric cardiologists, we have exactly 24 in the entire country, which makes finding the right specialist at the right time close to impossible (not to mention expensive) for our rural communities. This is especially worrying when you take into account that 1 in a hundred babies are born with a congenital heart defect. SensiCardiac, a new device developed by a team of engineers at Stellenbosch University, uses the sound of a heartbeat (irregular or otherwise), captured digitally and processed through intelligent algorithms to accurately identify and diagnose heart problems – a portable, digital cardiologist. 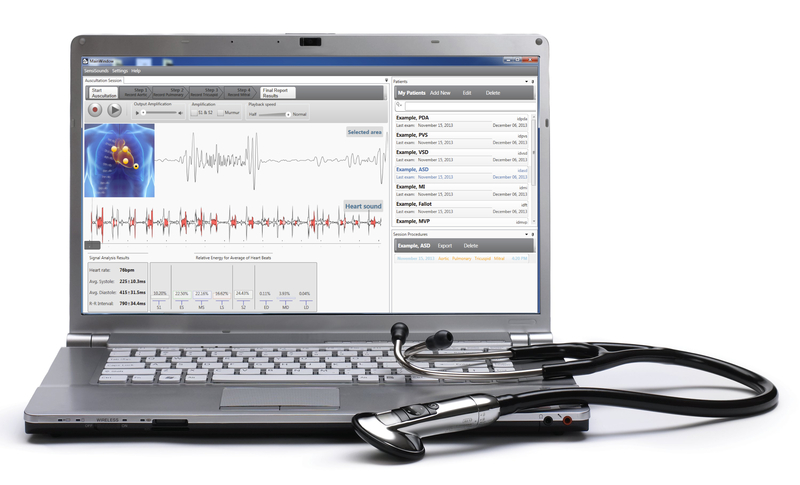 By combining a digital stethoscope with a bespoke database of over 2000 different heart sounds (more than 30000 individual beats - the largest database in the world), they’ve designed a system that speeds up and increases the accuracy of cardiac diagnoses – structural heart defects, indicated by pathological and physiological murmurs, and their position (systolic or diastolic) and even their grading, can be identified by almost anyone, anywhere. Think of it as Shazam for hearts. On top of that, it also visualises and records the sounds, which can then be stored (for subsequent meetings) or be shared with other specialists. Because it has an accuracy of 90%, it reduces unnecessary (and costly) referrals, easing the burden on wallets and our hospitals, by as much as 60%. It’s a decision support system for our primary care workers – and a digital second opinion for cardiac specialists. The idea behind SensiCardiac was originally the master’s thesis of co-founder, Jacque de Vos, back in 2003. Together with co-founder Thys Cronje, he approached Innovus during the research stage to commercialise the IP they had so diligently developed. They also knew they had the beginnings of something amazing, and wanted to eventually create a business from it. In Innovus they found the knowledge partner they needed, with the right contacts for commercialisation and funding. And what a partnership it has been thus far. Part of the Innovus mandate is to create self-sustaining spin-out companies from the technologies and IP developed in the University. In 2007 Diacoustic Medical Devices (Pty) Ltd was created, which has gone on to further develop the technology behind SensiCardiac, and attract shareholders in the IDC, Stellenbosch University and GeoMed. It has even been certified by the FDA. Believe it or not, the SensiCardiac technology is gaining a fair amount of traction in America, where they’re competing with established companies. The fact that it’s succeeding at that ‘1st world’ level speaks volumes about exactly what Thys, Jacque and Business Development Manager, Michael Maas (M.Eng), have built. The next steps are to make sure that South Africa’s citizens and healthcare workers have access to SensiCardiac technology in clinics across the country. Diacoustic Medical Devices and their brainchild, SensiCardiac, are excellent examples of the quality of research taking place in Stellenbosch University’s medical department, how intellectual endeavours can be emotionally and financially rewarding, too, as well as exactly how important the right partnerships can be – for each other, and for our country.